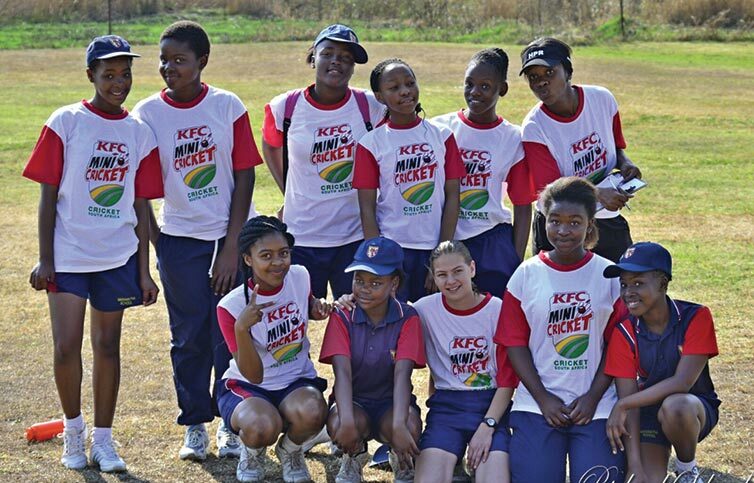 On Saturday, the 29th of August, Maranatha hosted the first of this year’s KFC Mini-cricket days. Present for this event were Maranatha, Alpha and Omega, Mkhondo House, Morgenzon Landbou Akademie, and Sibusweni Combined School. I love mini-cricket. As a coach and a teacher and a parent, I can’t think of a game that I love more for children. The reason I love this game so much is that, while not every child in my class will realistically be able to compete at a competitive athletics meeting, every child can play minicricket. This was illustrated very clearly on Saturday. Maranatha School, small and intimate though we are, were able to field two full minicricket teams per age group. This means that every child between the ages of 7 and 9 in our school could enjoy being part of a team and competing to the best of their ability. This participation by everyone, from the least naturally athletic and coordinated child to the most gifted child, is (or should be) the cornerstone of school sports. We also had our senior girls playing and enjoying a sport that has been traditionally viewed as a purely masculine pursuit. I wish that more schools would introduce mini-cricket as an alternative third term sport. Maranatha wishes to thank all the parents, coaches and children who participated on Saturday for keeping the atmosphere friendly and relaxed and focussed on skills development rather than competition. We appreciate you! We look forward to seeing you all (as well as teams from Wittenberg, Lüneburg, and Amsterdam) at our next event on the 19th of September. Schools who wish to participate can call the school during office hours on 017 826 0639. Onnodige veldbrande in die nag?